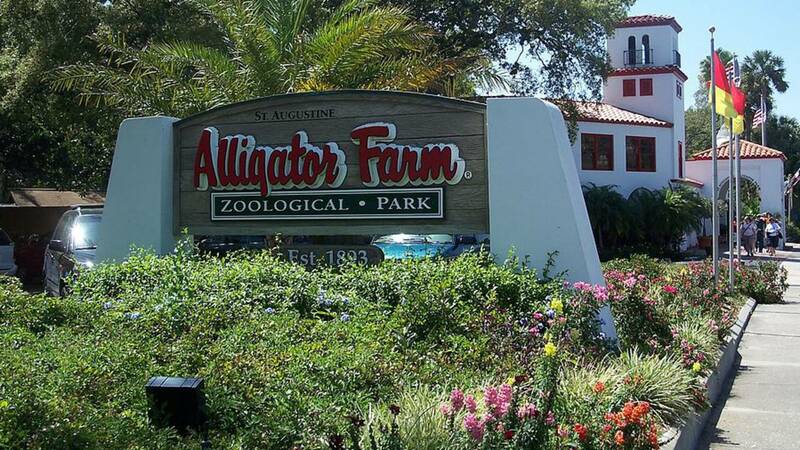 ST. AUGUSTINE, Fla. - A man who broke into the St. Augustine Alligator Farm after hours and jumped into a crocodile exhibit was bitten and had to be taken to a hospital, according to St. Johns County authorities. John Brueggen, director of the alligator farm, said the man was caught on video about 7:45 p.m. Monday wandering around the park and then jumping off a roof into the Oasis on the Nile exhibit that houses three 12-foot Nile crocodiles. 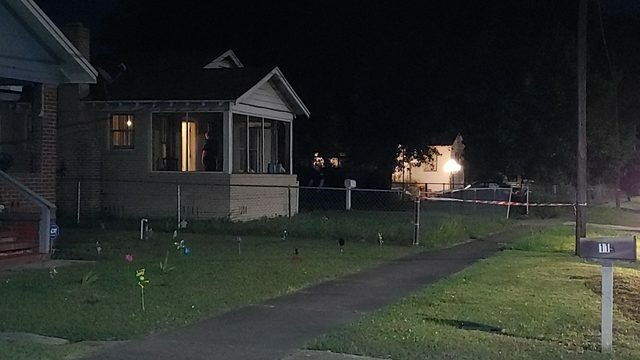 The man eventually got out, and St. Augustine police said a resident on Holly Lane called just before 7 a.m. Tuesday to report a suspicious person hiding in the bushes in just his boxer shorts. Officers said they found the man, who said he’d been bitten by a wild alligator. 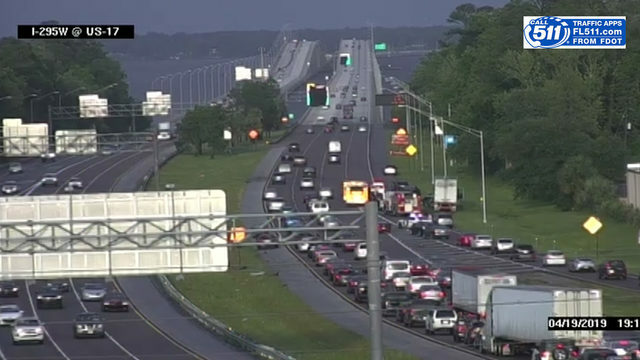 Minutes later, the call came in from the St. Augustine Alligator Farm, reporting someone caught on surveillance video jumping into an exhibit. Staff told police they checked surveillance after they found a Crocs-brand shoe in the crocodile pit and damage to the property. 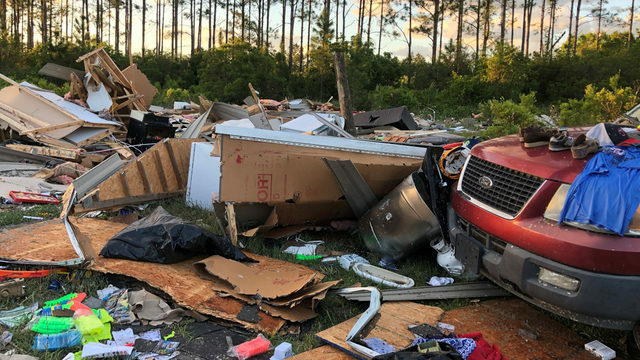 St. Johns County firefighters said the man, who was suffering from at least one bite wound, was taken to a hospital in stable condition and treated for lacerations to his foot. Police later identified the man as Brandon Hatfield. He's charged with burglary, criminal mischief and violation of probation. Police said he will be booked into the St. Johns County jail once he's released from Flagler Hospital. After his initial jump from the roof, the surveillance video shows the man on top of a statue and jumping off into a tree, which is when he comes into contact with one of the three crocodiles in the exhibit, explained Jay Ruditis, who works for Fuel Productions, the company that handles security video for the park. 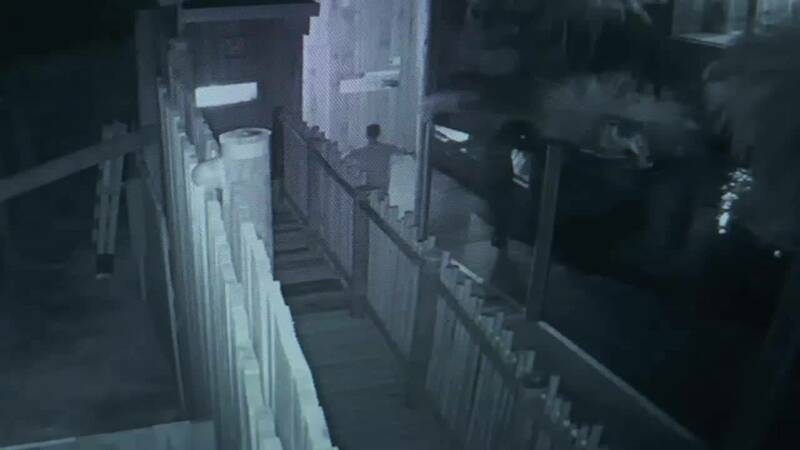 "Watch behind him, there’s a croc trying to attack him," Ruditis said, describing the surveillance video. "Now it’s dragging him. He will get on the shore. It’s got his foot right now. It has a good hold on his leg. It’s kind of pulling him in. The croc will flip him, a little death roll in a moment. The croc still has him, so what he does is tries to kick it with his foot." The video shows the crocodile thrash the man around for a bit before letting him go. The man then climbs a glass enclosure wall with a crocodile about 4 or 5 feet below him, but he falls onto a tree, then into the water. "He’s bleeding pretty good at this point," Ruditis said. The man then travels a fence like a balance beam, instead of stepping down onto a ledge, with more than 200 alligators about 12 feet below him, but he's able to get out of the exhibit. Park officials said they don't know how the man got into the alligator farm, but he had to scale several fences and barriers, including a barbed-wire fence, to get into the park. They said he was in the park for about four hours. 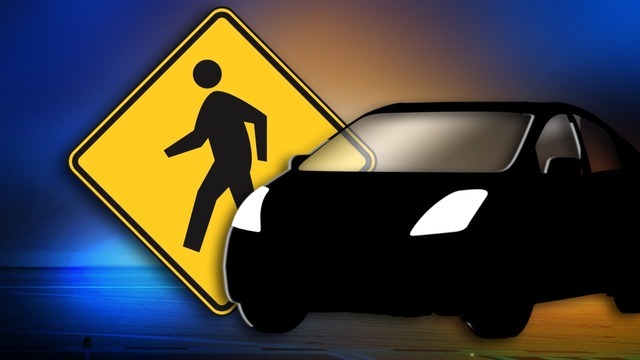 His motivation is unclear, but the surveillance video appeared to indicate possible impairment based on the man's movements, Brueggen said. According to court records, Hatfield was arrested in September on charges of car theft, drug possession and criminal mischief. The arrest report shows he was pulled over in a car that was reported stolen in Clay County and there was meth in the car. The criminal mischief charge was the result of damage he did to the cruiser in which he placed, according to the report. Hatfield pleaded guilty Friday and was sentenced to two-years probation. The alligator farm is a popular tourist attraction in St. Augustine, and Brueggen said it's the first time in the park's history that someone jumped into an exhibit. "It’s a bizarre story, and in 125 years we never had somebody try swimming with our crocs, and we hope it never happens again," Brueggen said. "Our biggest concern is someone tried hurting themselves, and your life is worth more than jumping in with crocs." The park opened on time Tuesday, and it was business as usual. The three crocodiles in the exhibit received a little extra attention from onlookers as they bathed in the sun. Park officials said all three are doing just fine.